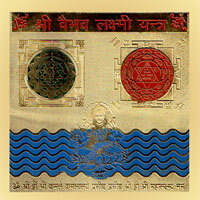 Introduction: This yantra can bewitch a person so that he acts as per user's desires and interest. 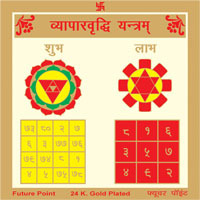 The user becomes popular in society and everyone is attracted and impressed by him. 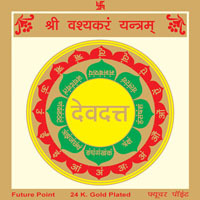 When there is disharmony at home, this yantra may be beneficial. 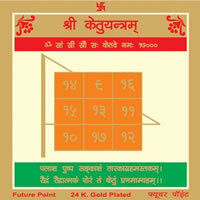 Method of Use: Clean this Vashikaran Yantra on Friday at 10-11 in night by ganga water worship it by ashtagandh or roli and sandalwood powder and establish it at worship place of home on a red cloth. 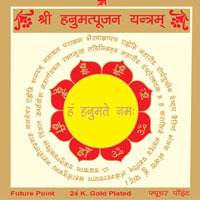 Worship the yantra by lighting a lamp and reciting the following mantra 108 times daily for 42 days continuously.